Rare titanium WVTA Sport 160 with a scandal past. 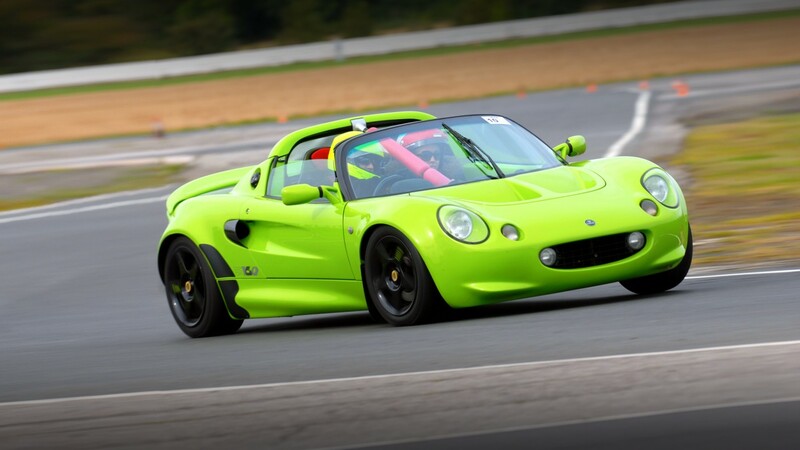 The Series 1 Lotus Elise Sport 160 is a rare car, for a brief introduction they were a track focused special with the first run of 50 known as SVA (Single Vehicle type Approval) cars and the remaining 288 cars known as WVTA (Whole Vehicle Type Approved) making a total of just 328 cars. 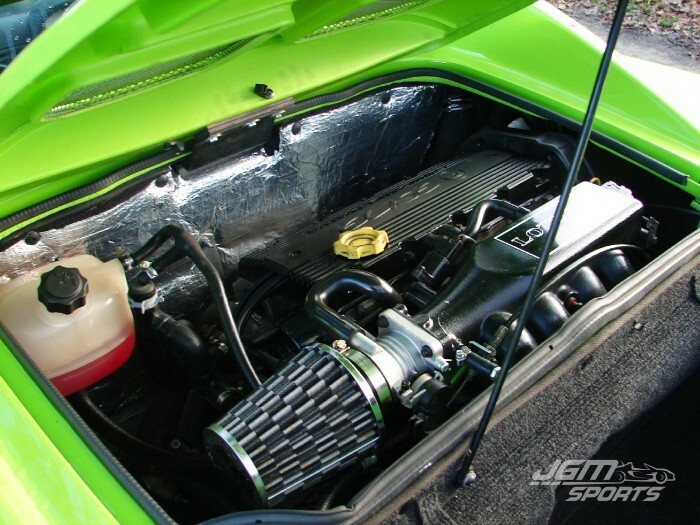 The WVTA cars were slightly watered down running on a different ECU, an extra airbox to suppress induction noise and the sports catalytic converter replaced by a standard production item to name a few of the differences. 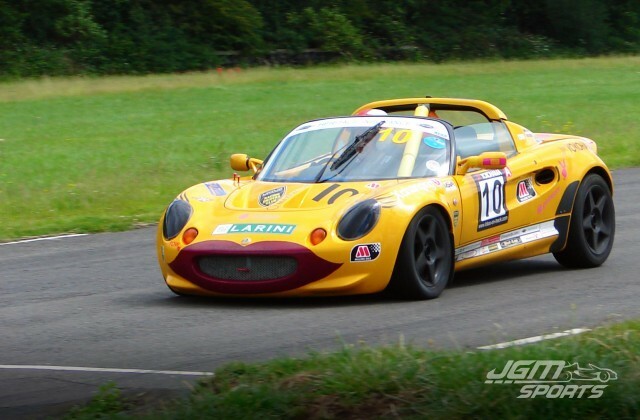 This all meant the WVTA cars required modifications to reach the same 160bhp power as the SVA cars. The first Sport 160 I owned was an SVA model in Scandal Green. I sold it after being aproached with a good offer, something which I regretted almost immediately. I then received a phone call offering me a Titanium WVTA Sport 160 and as the phone call progressed more details emerged. I was told the bodywork was in need of restoration with the worst part being a crack on the front clam. The price it was offered for reflected the work required, so as with all our cars a full dealer HPI check was made and everything came back clear apart from a note that the previous colour was green? A deal was done and the car was soon collected from London. 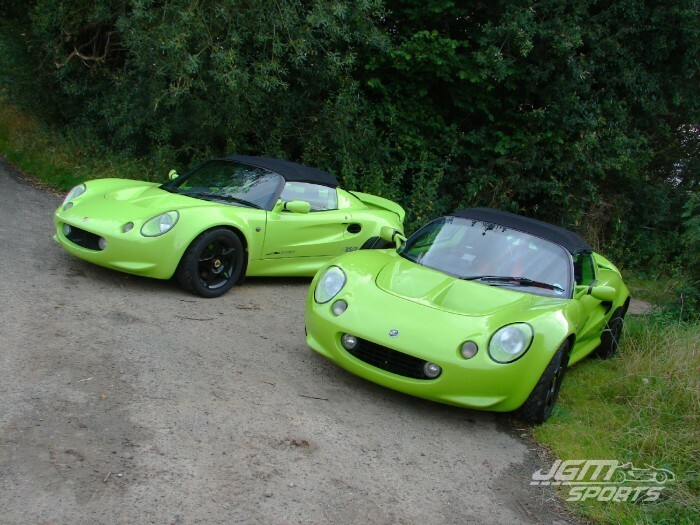 The colour change was of interest as knowing there were only two shades of green used on the Sport 160 (Lotus Racing B21 and the very sought after Scandal B39) I was obviously hoping it was the latter. 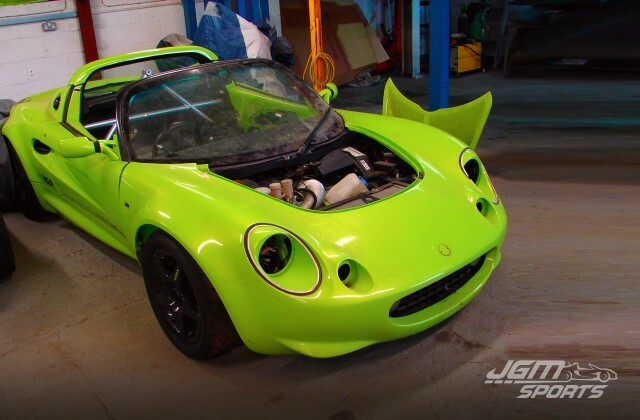 This also jogged my memory from past reading about one of the Scandal Green cars being repainted by a dealer, could this be the car? 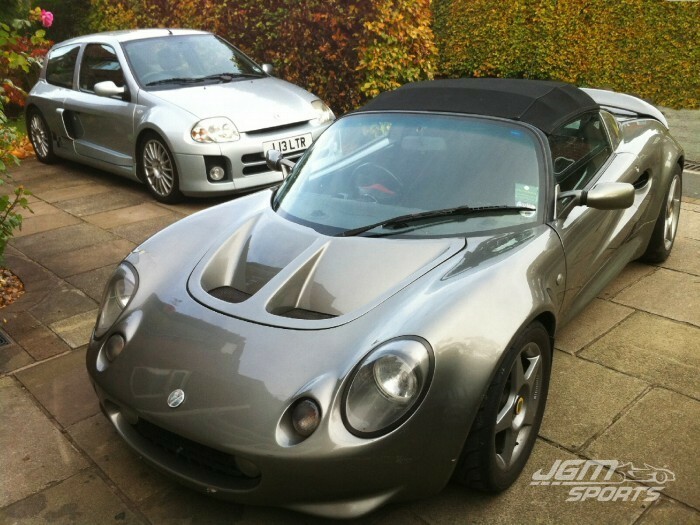 If it turned out to be, it could fill that gap of selling my first SVA Sport 160. I collected the car and it ran well on the way back apart from a few niggles which is to be expected with an old Lotus. It had electrical problems with the driving lights, a fuel pump that required turning on via a switch behind the seats and a huge crack across the front windscreen, but nothing that couldn’t be fixed. The next day it was time to start having a look around the new purchase. 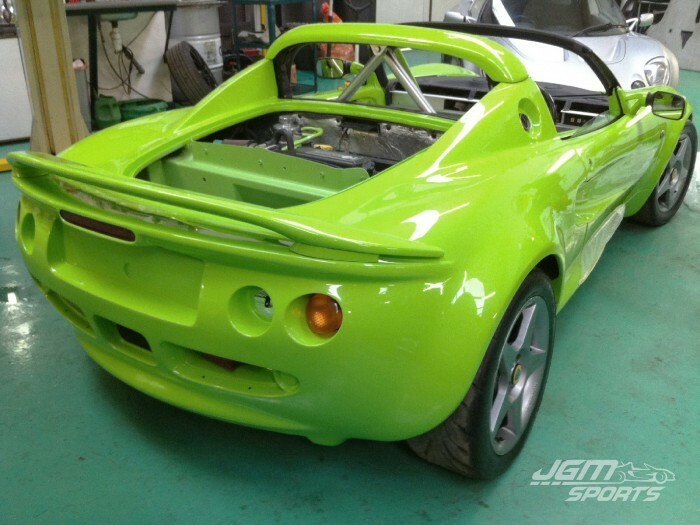 First thing to check was the colour code on the chassis sticker, which came back B77 Envy Green. Having never seen this colour on a Sport 160 I kept digging. The crack on the front clam clearly showed a bright green colour under the titanium paint so I decided to do some more investigating starting with the interior. The dash was stripped and the seats were removed to ease access and cleaning. 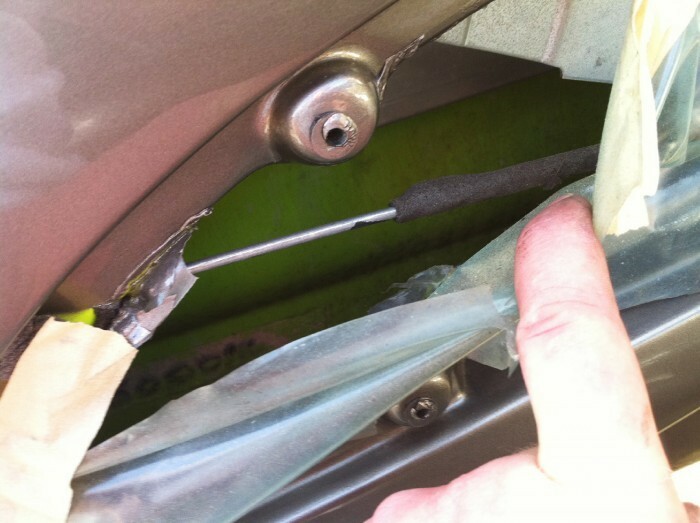 Then off came the coin trays revealing more bright green paint on the sills. Obviously by now I was sure the original colour was B39 Scandal Green but why the B77 paint code on the chassis sticker? 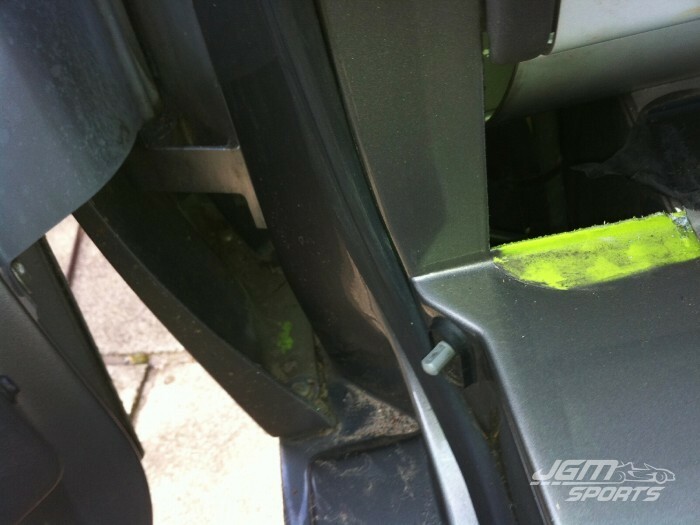 Whilst working on the interior I removed a door card which again showed even more bright green paint. .... and the door cards! 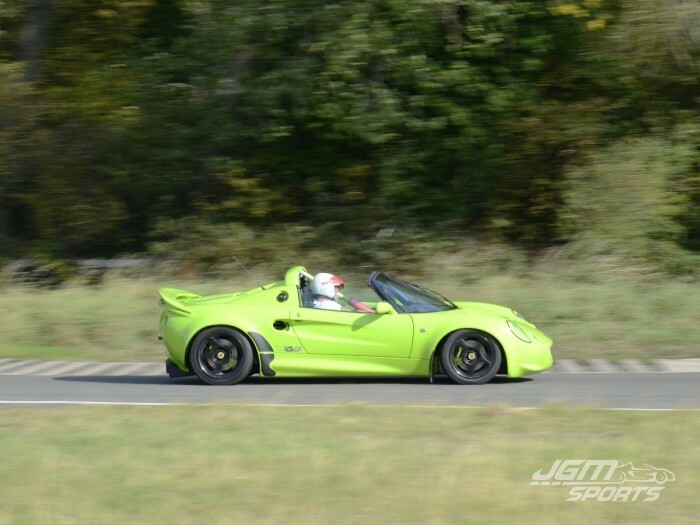 After contacting Lotus with the chassis number, they confirmed the car left the factory in Scandal Green with Red Alcantara Sports seats as a WVTA Sports 160 and the B77 on the chassis number must have been a mistake. To prove this they posted me a certificate of provenance that listed the full spec of the car as it left the factory and the original dealer who sold the car. To give you an idea how rare the Scandal Green cars are, a total of 17 were made, 7 of which were SVA cars and remaining 10 WVTA cars. Out of the 10 WVTA cars only 4 had the sports seats and red Alcantara trim. The only question remaining was why was the colour changed from the ultra-rare Scandal Green to Titanium? 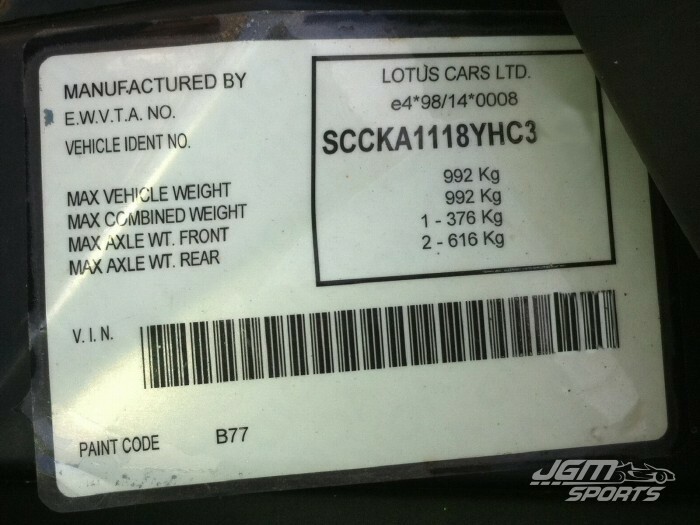 Looking through the service history there were two Lotus main dealers that had sold the car. I emailed them both and one of them came back and was very helpful. They remembered the car well and explained they had a customer that came in looking specifically for a Sport 160. The only one in stock at the time was a Scandal Green car on the forecourt. 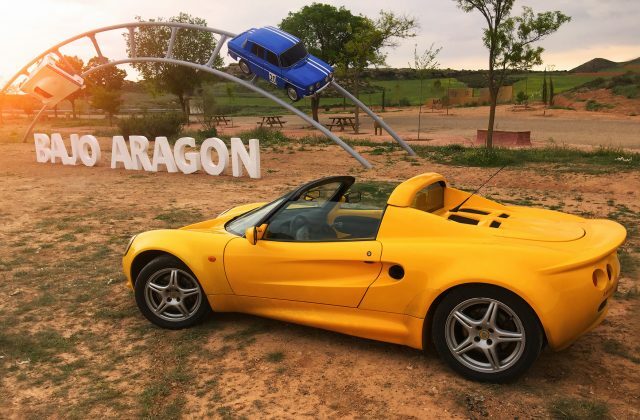 However the customer’s wife disliked the colour for being far too bright so a deal was done to supply a factory Lotus hardtop and paint the car and hardtop Titanium. 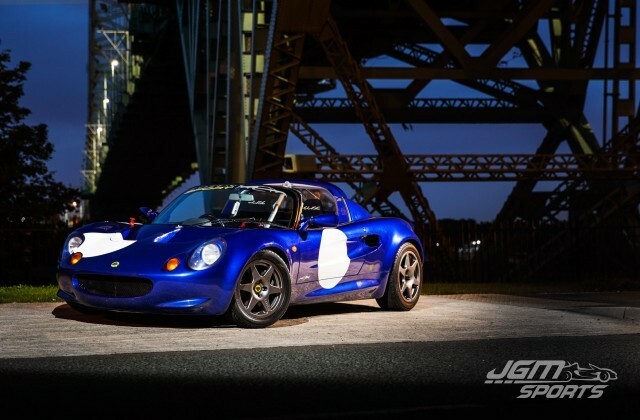 With the history now known, the car needed to be returned to its former glory so the restoration began. I wanted to keep the car as close to the original specification as possible, however I couldn’t resist a few upgrades so I made sure any changes were reversible. 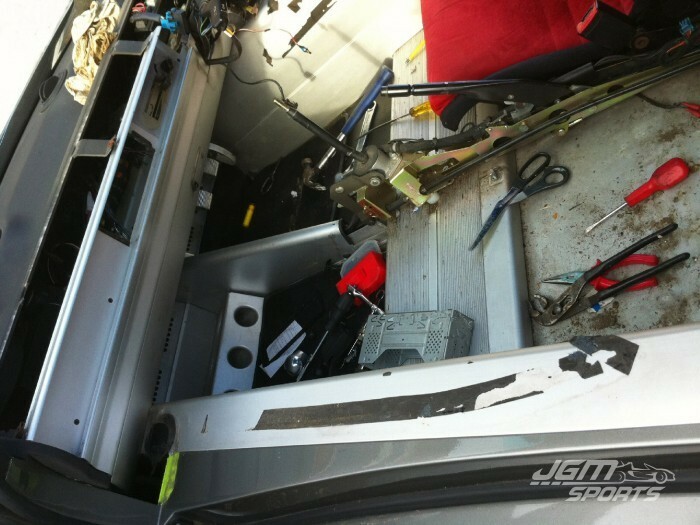 The orange A-frame and petty bar removed from the Audi Lotus was fitted ready to be colour coded to the car. The cracked windscreen was removed and the body work preparation started. 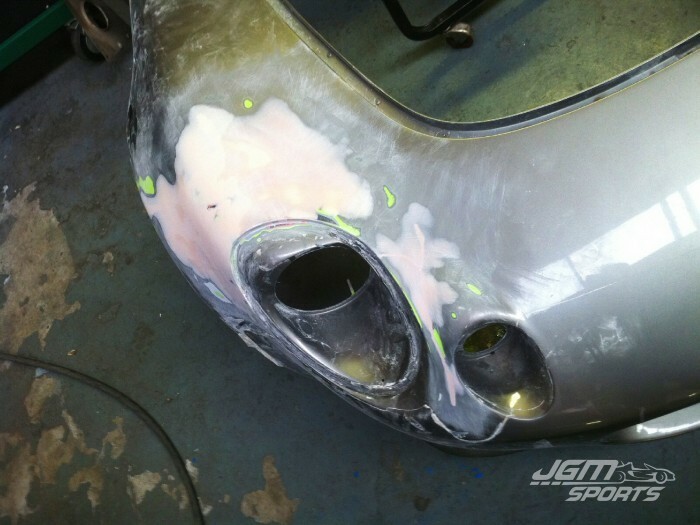 The damaged front clam was repaired with the crack over the headlight filled and sanded. 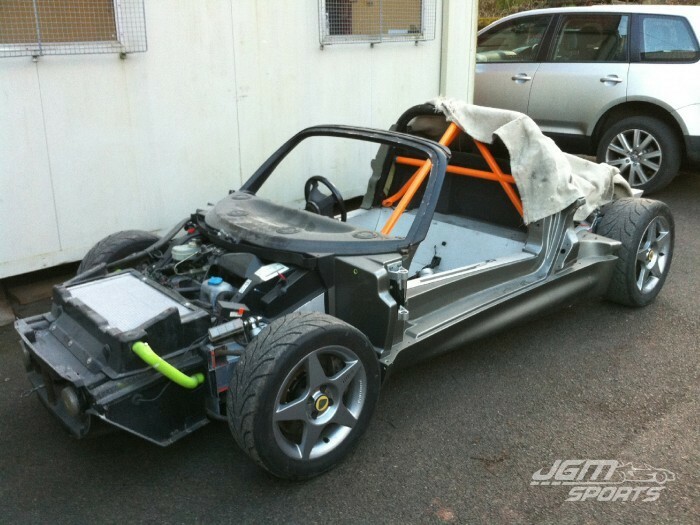 As this was a full colour change every part off the bodywork was dismantled. Eventually everything was painted and with the body work looking like new it would have been a shame to refit the old parts, so new lights, new badge and new stickers were ordered. The engine bay also got some attention with the firewall being restored, new header tank, new cone filter and a ‘Lotus Sports’ manifold sticker. It was then fully serviced including cambelt and a lightweight flywheel and clutch fitted just to finish it off. Once finished it was taken for a comprehensive covering of plastic paint shield to protect the new paint on the most vulnerable areas. Then it was MOT’d and ready to be enjoyed! Enjoyed it was – one of the first weekends it was shown on the Saturday at Tatton Park Classic Car show near Manchester then driven straight down to Brands Hatch near London that night for the Lotus Festival on the Sunday and back the same day, 500 miles in the weekend without a problem! 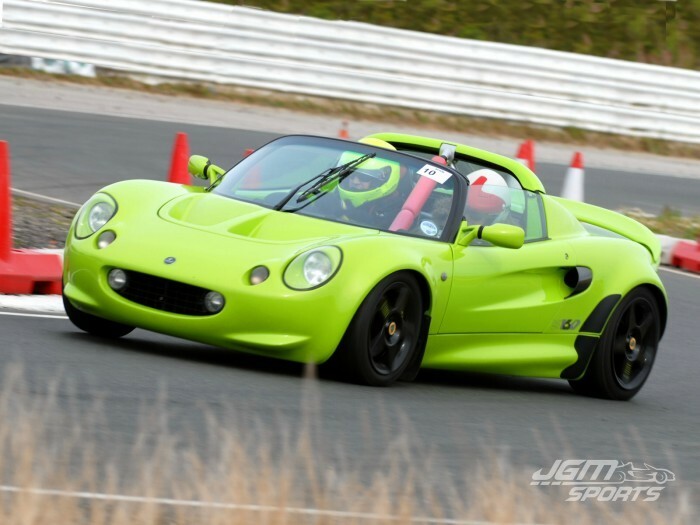 That summer it also completed a couple of the usual track days and sprinting all without any tears. The days of ownership were soon to be numbered. I had kept in touch with the lady who bought my first SVA Scandal Green Sport 160 and was given the chance to purchase it back. I jumped at the chance and was now the lucky owner of two Scandal Green 160’s. After being reunited with the SVA Sport 160 it was clear that age was getting the better of it and a restoration was required. So before the SVA car was taken off the road and the WVTA car sold, it would have been rude not to have taken both cars for a drive with the camera.